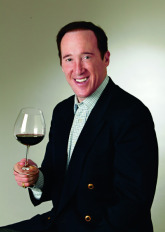 Adam Strum is the Founder and Chairman of Wine Enthusiast Companies and Editor and Publisher of Wine Enthusiast Magazine heads up the largest group of wine commerce and media companies in the world. The Catalog/Web business is the leading inventor and seller of wine accessories and wine storage and the Publishing group provides authoritative reviews and ratings of tens of thousands of wines every year. Subscribe to Adam Strum on Wine Enthusiast Magazine's Unreserved blog.